As well as clashing bezels with rivals in the high-end OLED TV arena, Philips is fast developing a stranglehold on the budget 4K TV market. 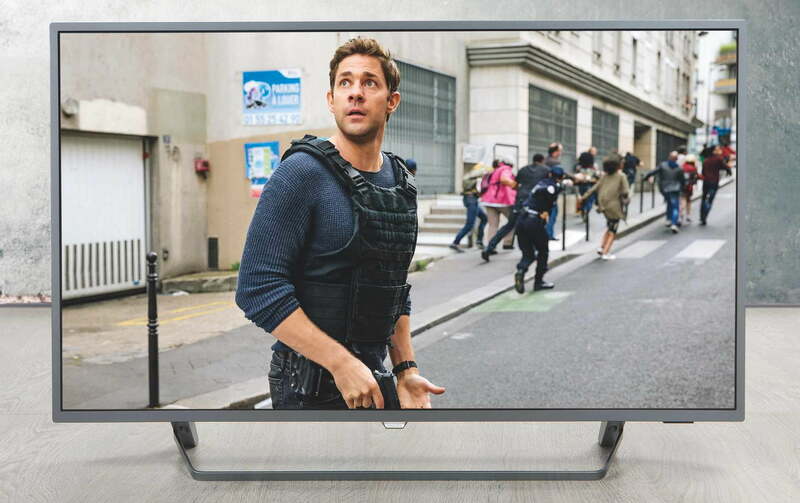 Sure, there’s tempting competition from the likes of Hisense, Toshiba and others, but if you want a killer deal when it comes to small(er) 4K screens, then Philips’ 6 Series should be top of any shortlist. The 43PUS6753 featured here is the latest in that lauded low-cost line. A 4K HDR flatscreen, it combines potent panel technology with a surprisingly adept new smart platform. The range also includes 50in and 55in versions. Connections include a trio of HDMI inputs, one with ARC for easy AV system hookup. All of these are 4K capable, but only two support 4K at 60Hz. There are also two USBs (with multi file format media reader), component video with stereo audio, and a digital optical audio output for connection to an external sound system. Ethernet offers an alternative to internal Wi-Fi. Smart functionality is forward-facing. 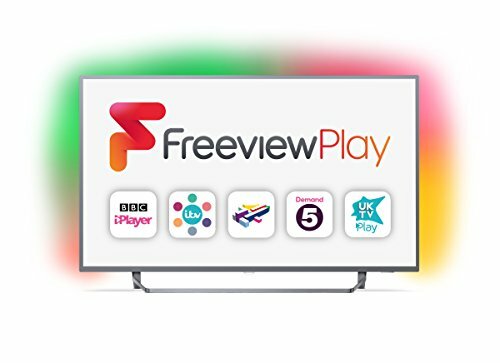 The screen has a Freeview Play tuner (plus a standard satellite tuner option), so TV catch up is catered for via a seven-day roll-back programme guide. 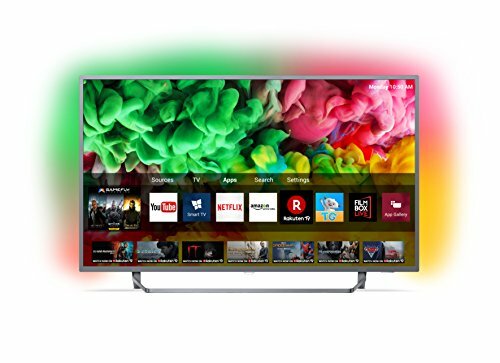 Obviously the 43PUS6753 is ‘net-connected, but here Philips doesn’t use an Android TV operating system like its more expensive stablemates. Instead it runs the brand’s new stripped-back Linux-based SAPHI Smart OS – and the big surprise is that it’s actually rather good. supports 4K. Navigation around all this is intuitive. The set also supports Miracasting from a connected mobile device, if that whets your whistle. Philips’ Ambilight mood-lighting system is presented in a three-sided configuration, which is essentially the default implementation. The TV throws a wash of coloured light out from the sides and the top; consequently, it looks its best when positioned close to a white wall. The screen, being a budget model, doesn’t feature Philips’ advanced P5 image processor, but there’s still jargon to juggle. A Micro Dimming system for its direct LED implementation is aided by Pixel Precise Ultra HD processing and 4K UHD Natural Motion. Compared to the competition, there’s a lot going on behind the scenes. That said, the TV’s cut-back image processing chops do become particularly noticeable when it comes to motion. All of Philips’ presets here generate some level of artefacting, with the exception of the Movie mode. Watch the opening text crawl on the 4K Blu-ray of Star Wars: The Last Jedi in HDR Movie and the number of visible stars plummets. Viewed in any other mode, and the starfield returns. Root around the menus and you’ll find HDR Plus, which can be used to provide additional lift. This is quite effective, with the medium setting being the easiest to live with. 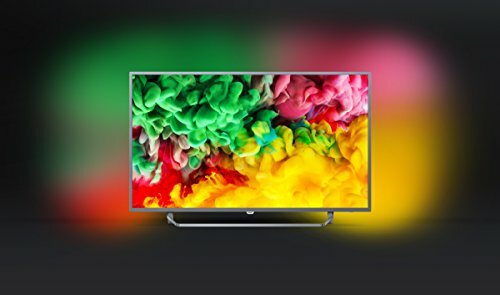 As a Philips flat screen, the 43PUS6753 naturally comes with no shortage of other image parameters to tinker with. Ultra Resolution, gamma and noise reduction adjustments may sound tempting, but be aware that a panel of this class doesn’t easily reward manual intervention. 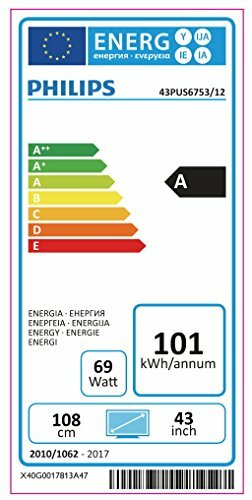 As well as industry standard HDR10 compatibility, the TV supports HLG – useful for those waiting for more iPlayer 4K trials. 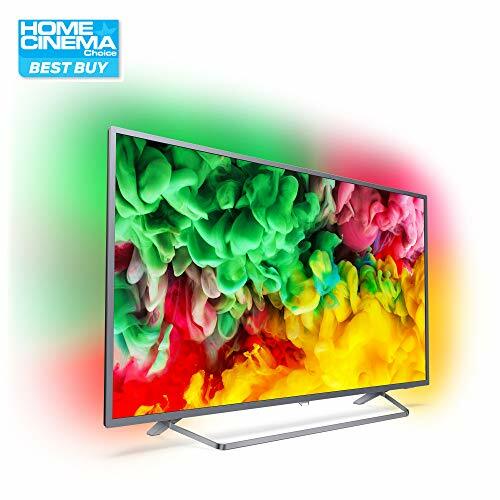 Yet you shouldn’t expect this lower-tier telly to sparkle with specular highlights, as it simply doesn’t have the inherent brightness to deliver a truly high dynamic range. Yes, it understands HDR10 metadata, but there’s a limit to what it can do with the information. Similarly, I understand a little Klingon, but I’d be hopeless having to fend for myself on Kronos. 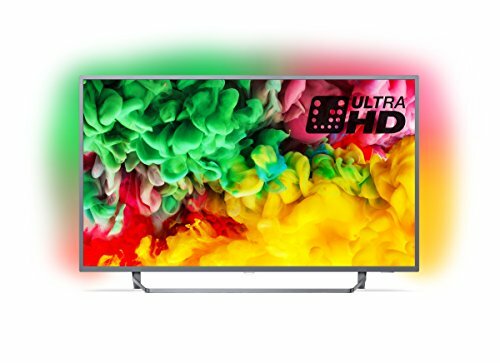 The 43PUS6753 does a better job than many rival HDR compatible sets in the same price bracket, however. I measured peak luminance around 350 nits. While this won’t sear your eyeballs or reveal the real power of a film’s bright highlights, it’s bright enough to not dim the panel down to unacceptable levels. The sunrise over Luke Skywalker’s island hideaway in …The Last Jedi appears suitably beautiful. And it certainly helps the TV’s movie credentials that its backlight uniformity is good, without distracting light blooms, and black levels reassuringly deep. With regular SDR content, be it HD or SDR 4K, the TV is consistently bright and punchy. Indeed, I’d rate this a fine screen for hi-def sources, be they from tuner, set-top box or media streamer. Select the dedicated game mode, meanwhile, and image lag is respectable at 24ms. When it comes to sheer value, nothing beats this 4K HDR high-street hero, with Ambilight the LED icing on the cake. You can go bigger for the same money, but not better. SONY UBP-X500: For an affordable 4K Blu-ray source, head to Sony’s range and consider the budget-priced UBP-X500. AV connections are limited to HDMI and USB, but the deck still offers SACD playback and hi-res file support.